We consider it a privilege that you have chosen us for your needs. We strongly believe that an informed patient is a good patient and that your clear understanding of our Patient Financial Policy is important to our professional relationship.  Therefore, we strive to inform you of all the medical aspects of your needs and also would like to advise you on our financial policy for both cosmetic and reconstructive surgery procedures. Our doctors provide free consultations for all patients. Scheduling a surgical procedure will require a scheduling fee of $600. This will be credited towards your surgery. Payment for the balance of the surgery fee is due at the preoperative exam or 2 weeks prior to the operation, whichever comes first. If fees are not provided 5 business days before the scheduled procedure the surgery will be cancelled. We consider the preoperative examination as a definitive final consultation prior to the operation. If the surgery is rescheduled after the payment for your surgery has been made there will be an additional non-refundable 15% rescheduling fee. Likewise, if a surgery is cancelled the following will apply: Surgery cancelled 3 weeks in advance-full refund of deposit, Surgery cancelled 2 weeks in advance-50% refund of deposit, and Surgeries cancelled one week or less in advance will forfeit 100% of deposit. This is done to maintain the continuity of a very valuable and busy surgical schedule. We reserve a considerable amount of discretion in implementing this difficult but necessary policy. Plastic surgery is an art and occasionally revisions will be necessary. These will always be within one year of the original procedure date. The majority of the time, the surgeon fees will be discounted, however facility and anesthesia fees will apply for the procedure. Our surgeons reserve the right to determine a revision versus a separate procedure that is being requested. We do not have in-office payment plans, but we do refer our patients to Alphaeon Credit® at www.alphaeon.com. We are committed to providing you with the best care possible. Reconstructive consultation fees will be billed to your insurance company. It is our patient’s responsibility to provide our office with current insurance information. We will ask for your insurance card at your first visit to obtain a copy for our records. We will occasionally request a copy at a later date to update your records so please have your insurance card every time you come to the office. If current information is not obtained at the time of service, it will become the patient’s responsibility to pay until current information is provided to the clinic. patients referred to us by physicians through New Hanover Regional Medical Center. As a courtesy, we will file your claims for you with your primary and secondary insurance carriers (if Medicaid is secondary, see above rule). However, we will not become involved in disputes between you and your insurance carrier. We will supply all necessary information to assist you. Please remember that insurance is a contract between you, the patient, and your insurance company. Ultimately you are responsible for payment in full to Wilmington Plastic Surgery. Some reconstructive procedures require pre-authorization from your insurance carrier. Our office is pleased to provide this service following your consultation. The authorization process may take 4 to 6 weeks. Surgery will not be scheduled until the authorization is received. Co-payments and deductibles are due at the time you see the doctor and will be collected at check in. When your insurance company has paid their portion of the charge, a statement will be generated and mailed to you. Any balance due is your responsibility and is due upon receipt of the statement from our office. Patients being seen as a result of work-related injuries are still responsible for charges incurred at the time of service. Please notify our office if you have such a claim so that prior to the time of your visit we may verify coverage of your charges by your employer if not already done at the time of making the initial appointment. We will make every effort to collect your charges from your employer or their worker’s comp insurance carrier, but if we cannot verify coverage, you will be responsible for payment of your charges. Also, if your employer does not remit payment for your charges within a reasonable period of time, we will have no choice but to bill you directly. Completing Disability Forms or your insurance forms require office staff time, copies to be made, and time away from patient care for the physicians. Therefore, our charge for this service is $25 and we request 5 business days for completion of this task. If you are here as a result of an accident (other than job related), we require that you pay your charges at the time of service or provide us with your health insurance information so that we may bill them directly. Co-pays and deductibles will apply if the charges are filed with your health insurance. We will also need the name, address, and phone number of the Accident Insurance Company and/or attorney. In case of a lawsuit, we will file a lien with them for the charges. SCAR CONSULTATIONS due to an accident that will require attorney reports will require a $500.00 payment from your attorney prior to seeing the doctor for the consultation. We charge a $35 service fee for all returned checks. Unfortunately, should our billing office fail to collect the balance on a patient’s account, we must then place the account with our attorney collections. Should that occur, an administrative fee will be added to your account balance. We require a credit card to be on file for any service booked over $100 and request a 24 hour notice in the unfortunate event that you need to cancel your appointment. Any cancellation within 24 hours as well as any missed appointment without notice will result in a charge to your credit card for 50% of the total amount for services scheduled. Any deposit paid prior to your service will be put toward the fees due. For all scheduled consultations and other appointments, there will be a $25 charge.